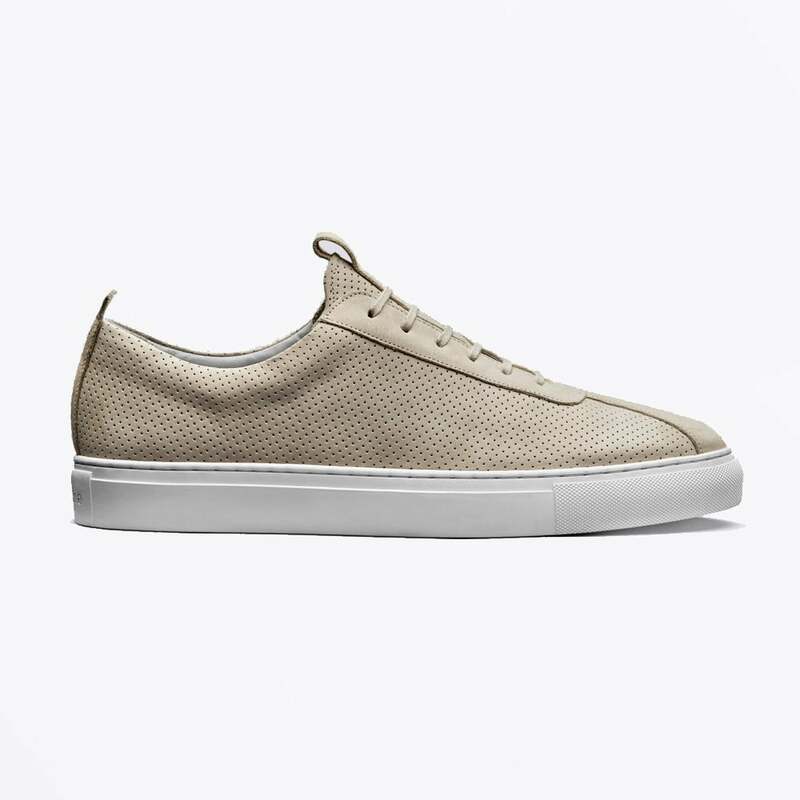 A crucial element of any outfit is footwear and here at Rio Brazil we have been proud to offer a diverse range of shoes and sneakers. A staple and consistent favourite of our footwear offering has been Grenson, a pioneering, English brand which is celebrated for the production of shoes which are synonymous with quality. 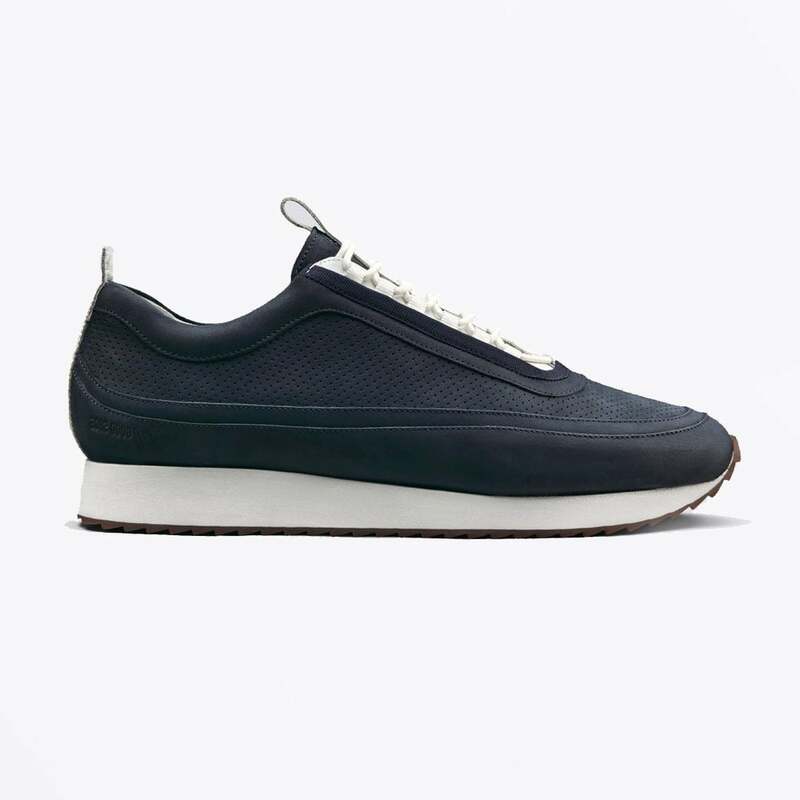 After 150 years of shoemaking, Grenson have announced their first ever collection of sneakers and we are delighted to welcome the arrival of this collection in-store. The roots of this esteemed company can be traced to Nottinghamshire in 1835, the city which at that time acted as the capital of England’s shoemaking industry and allowed William Green to perfect his shoemaking technique. William’s business acumen allowed him to spot a market for the manufacturing of shoes and his own mother taught him how to produce men’s shoes alongside his other jobs. Such was the quality of Green’s shoes he entered into an arrangement with a London based shoe company, eventually becoming a factor which in turn saw him launch a business strategy which would become formalised into the company ‘William Green & Son.’ Green’s shoes continued to be well received and in order to cope with the rising demand he purchased a location in Green yard in 1875. This would see Green become a pioneer in his employment of the Goodyear Welted method of shoemaking. 1875 would also be the year that the company became the ‘Grenson’ we know today and it would develop over the next century to accommodate the continual rise in demand with a further relocation taking place in 1895. Grenson’s reputation as a premium shoe brand was secure and the heightened demands of the World Wars would see Grenson maximise it’s production, with factories remaining open for almost 24 hours a day at the height of the conflict. In recent years, Grenson as a brand has experienced a resurgence under the leadership of creative director Tim Little. Little’s astuteness has saw Grenson re-emerge as one of the premier shoe-makers and the brand has continued to move from strength to strength. One aspect of Little’s creative strategy has been to diversify production which has led to the creation of new collections such as Grenson sneakers. Grenson’s sneakers are created with the same philosophy that has saw their shoes become so esteemed, that any shoes produced by the company are the ‘only shoes you will ever need to own.’ This philosophy is achieved through use of only the most premium Italian leathers and suedes in the production of the sneakers and in this collection Grenson have found the perfect balance between a ‘modern aesthetic but using all of the heritage and history of the company.’ This collection represents the diligence and quality craftsmanship involved in the production process with every pair of sneakers an illustration of the meticulous approach that could only be found in a handcrafted pair of shoes. The end product of this lengthy process is a sleek trainer which references this company’s illustrious past but remains committed to providing footwear for the contemporary male. To see our full range of Grenson sneakers, visit us at Rio Brazil in Victoria Square.